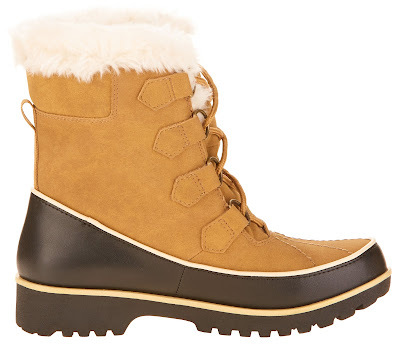 Igloo Women's Faux Mid Calf Winter Boot - Just $20.00 + FREE Store Pickup!! Wow! Check out these Igloo Women's Faux Mid Calf Winter Boot from Walmart.com for Just $20.00 (Reg. $89.99) + FREE Store Pickup! Brave the elements without sacrificing your stylish sensibilities with these women's winter boots from Igloo. Featuring a timeless faux leather upper to complement your ensemble, these boots have a water-resistant construction to keep the cold and wet out, helping your feet stay dry and comfortable. The inner is fully lined with pillowy-soft faux fur for added coziness, while the textured sole and 1.25-inch heel help you maintain your footing in slippery conditions. These lace-up boots are available in a versatile tan colorway and are a superb choice for weathering the cold seasons while looking great at the same time.